Another uneventful year which is exactly what I hoped for. Zack is doing really great (especially since he just celebrated his 3rd birthday with lots of presents)! He knows all of his colors and can count to 20. Even though it’s been a while I must cut this update short since Zack is begging me to play Play-Doh with him. 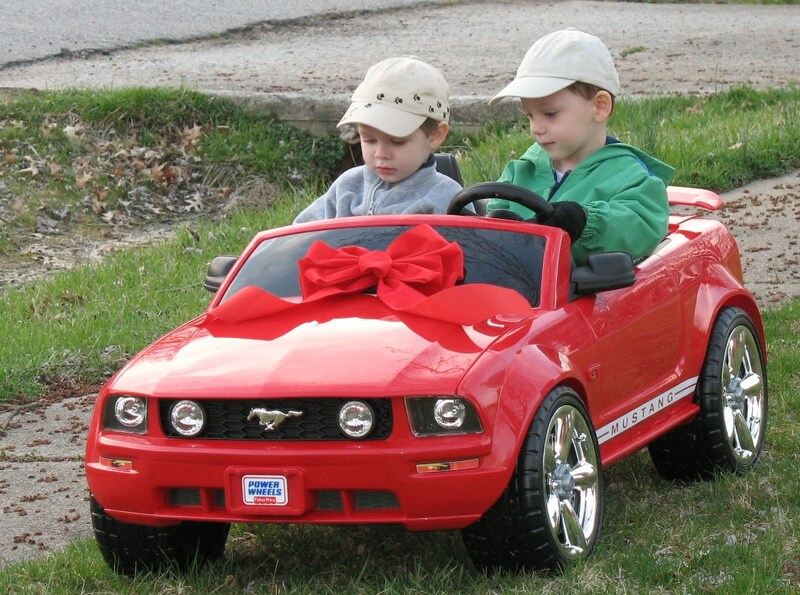 To make up for such a short update here is a picture of Zack driving his birthday present with his friend. Posted on May 4, 2011, in Uncategorized. Bookmark the permalink. 4 Comments. You’re not being rude at all. LCHAD is not a walk in the park. My wife and I have 3 children and two of them have LCHAD. There have been several close calls with Zack and Abby has had a lot of trouble already even though she is only a year old. Have you been able to find any other people your age with LCHAD? It might be cool for you to meet them.